Hafida Balalioui Torres, born and raised in Casablanca, Morocco, she comes to New York on 1999 and started her journey as a community leader. She has a Master’s degree in Special Education and a Masters’ degree in early childhood Intervention, Touro College. She has a Bachelors’ degree in Hospitality Management Sales and Marketing, City Tech College, and a Also, she is a New York state board certified Special Educator and a licensed applied behavior analysis therapist, and a Certified Bilingual developmental Evaluator Early Intervention and Special Education , and a licensed Health and life Insurance broker..
She is a community leader, Founder and President of the Moroccan American Council to Empower Women Organization, MACEMW, Brooklyn. 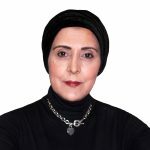 She is one of the founders of Moroccan American House Association, and one of the founders of the Moroccan Society of New York Association, , she is an Advisor at COPO, (Council of all People’s Organization), and member of the Bridge Project, Multicultural and Advocacy Project. She is one of the steering committee of AMCN (American Moroccan Competencies Network) Organization, She is the Project Lead of Autism Committee at AMCN organization with the partnership of Autism Speaks Organization and Moroccan government and Moroccan NGOs.